Lucy Honeychurch is a young woman torn between the opposing values of gray old England and vibrant Italy in this unforgettable story of romance and rebellion. On a trip to Florence with her older cousin and chaperone, Lucy becomes enchanted by a freedom unlike any she has known at home. The excitement she feels when she is with George Emerson, a fellow boarder at the Pension Bertolini, is as exhilarating as it is confusing, and their intoxicating kiss in a field of violets threatens to turn her whole world upside down. Back at Windy Corner, her family’s Surrey estate, Lucy must finally decide if the power of passion is greater than the force of expectation. 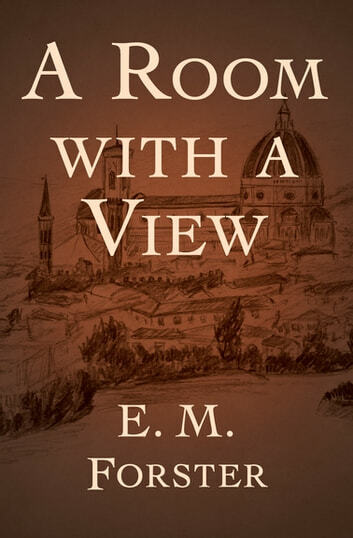 Widely recognized as one of the finest novels of the twentieth century, *A Room with a View *is E. M. Forster’s most hopeful work and a truly timeless romance.